Food plays a very important role during the holidays. Food is what brings everyone together at the dinner table. During a holiday party, gathering, or dinner, people enjoy food while they catch up with family and friends. Laughter and love fill the spaces between each bite but each bite should be just as important as the space in between them. Delicious holiday meals usually include some family traditions like a specific ham or a holiday dessert recipe that has been passed down from generation to generation. But there is nothing better than adding even more delicious holiday recipes to your celebrations. 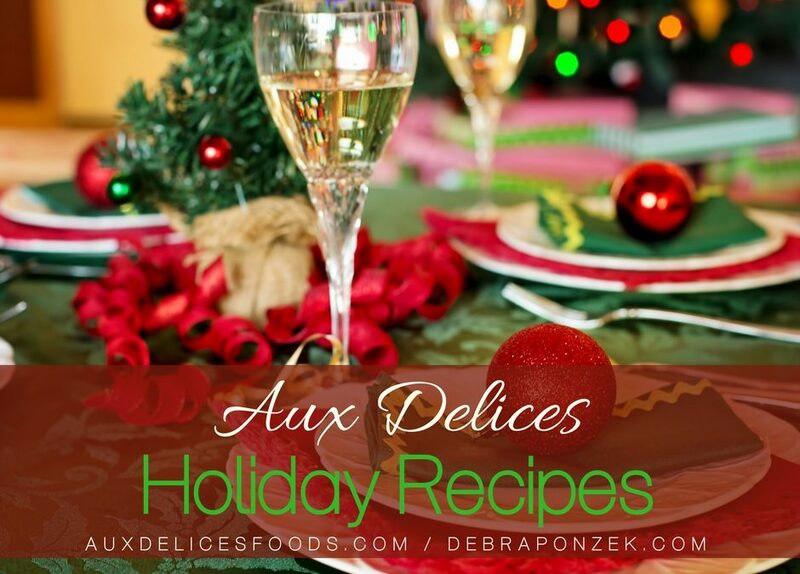 Aux Delices holiday recipes will make great additions to your holiday menus. 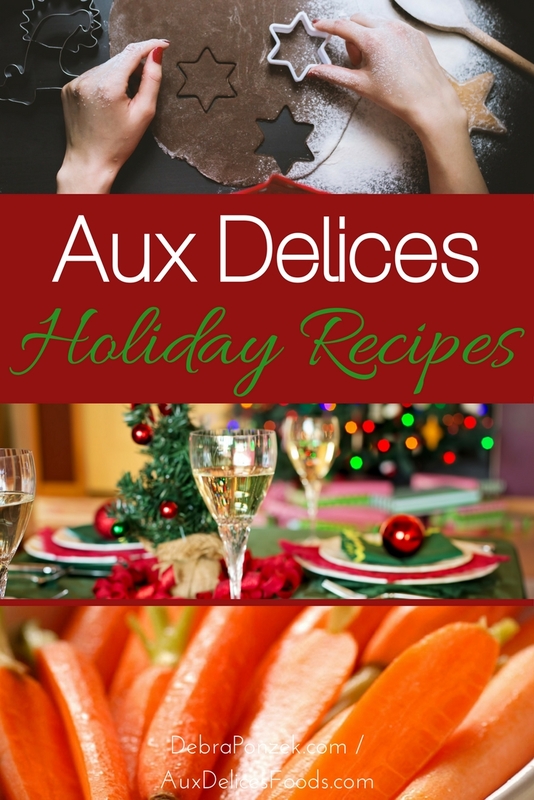 Add some Aux Delices holiday recipes to your special celebrations and they may just become part of your family’s traditions. When it comes to making anything with fresh ingredients, flavors are boosted when the ingredients are in season. A Fennel Salad is a great winter salad and with a fragrant truffle vinaigrette, you can’t go wrong. Classic meat dishes for the holidays are nice but some people want to take their holiday meal to the next level. 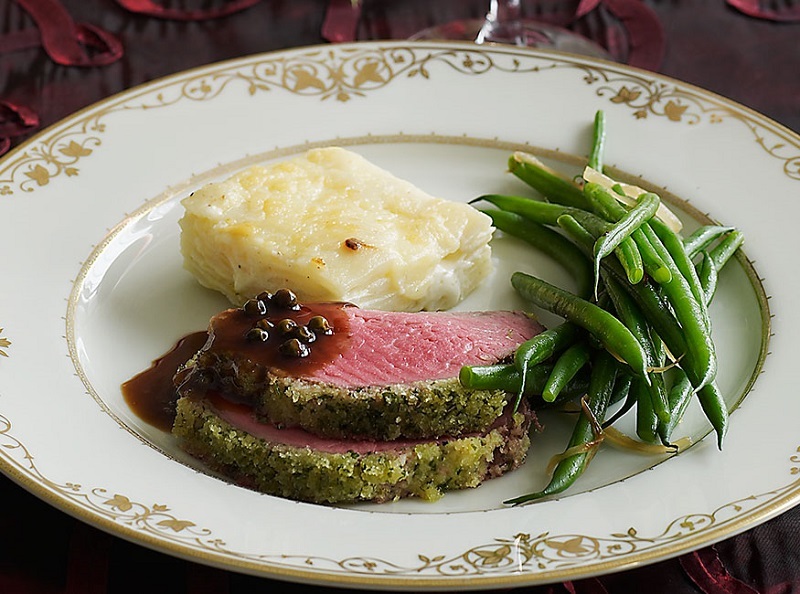 An herb crusted beef tenderloin dish is one of the best ways take your holiday meal to a higher level. Not only will this meal impress your guests, it’s also very easy to make and can be done in under 2 hours. Side dishes are important because they amplify the main course and can help make a plate look amazing. Honey-glazed carrots are very simple but elegant and go great with your herb-crusted beef tenderloin or any other main dish. Not only are these carrots easy to make, they are loved by kids. The holidays can’t pass you by without having gingerbread cookies. These cookies can be cut into fun shapes and can even be made into an activity for children that may attend your event. Make the cookies ahead of time so that after dinner, kids can decorate the cookies and then eat them immediately after or during the fun. For the adults at the holiday celebration, a holiday champagne cocktail is perfect to add a bit of luxury. These cocktails can be combined with pear or orange flavors to make them more festive and can be made with either champagne or sparkling wine.